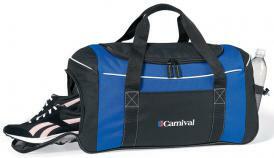 Promotional Items, Inc.™ invites you to select sports bags. 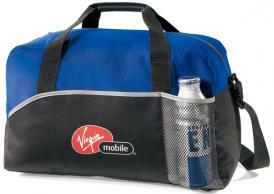 Printed or embroidered sports bags with a logo for promotions. Sports are as much of a part of daily life in America today as work, school, home and play. 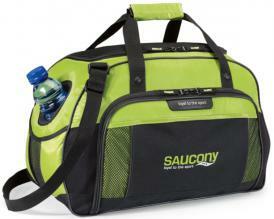 Take advantage of that fact to use custom imprinted sports bags for promotional items. 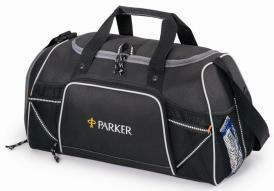 Want to class up your sports bags, order with custom embroidery for corporate gifts. 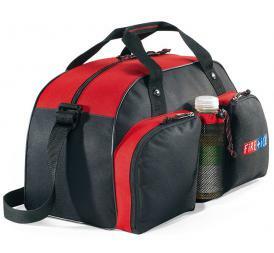 Scroll down the page to find the Promotional Sports Bags with a logo. For related items visit our Printed Drawstring Backpacks page. logo for athletics, cheer, school sports and company events as promotional gifts.